If you are an avid fan of RuPaul’s Drag Race, then you’ve surely learned some secrets on how to beat a face. 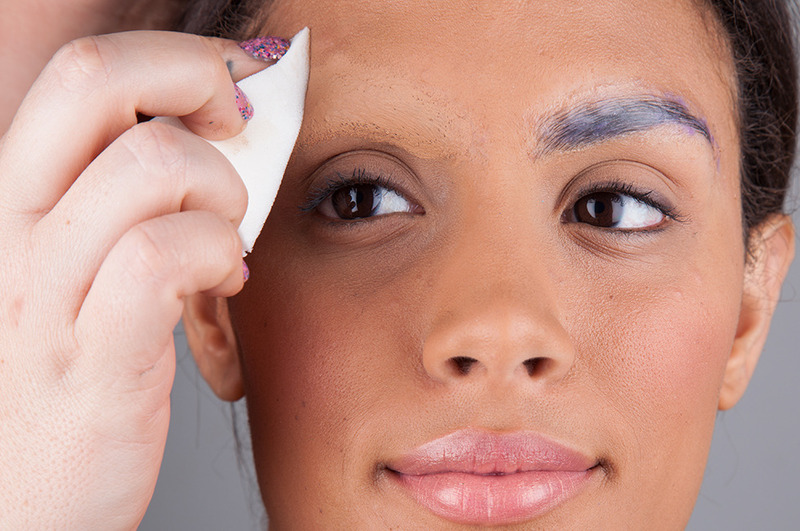 For instance, you may know the secret to eye-catching, creative faux brows begins with no brows, although taking a razor to your face is enough to spook even the fiercest queen. 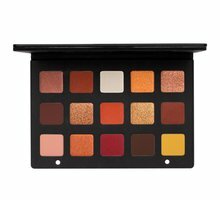 So what’s a bold beauty lover to do? You may be surprised to learn that one of the most useful brow-coverage tools is hiding not in your makeup bag, but in your craft closet! 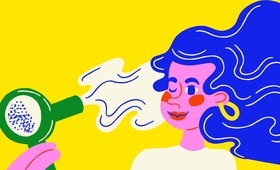 We’re talking your everyday Elmer’s glue stick. We picked up a few lessons in working with the paste backstage at the Chromat fashion show last month in NYC. 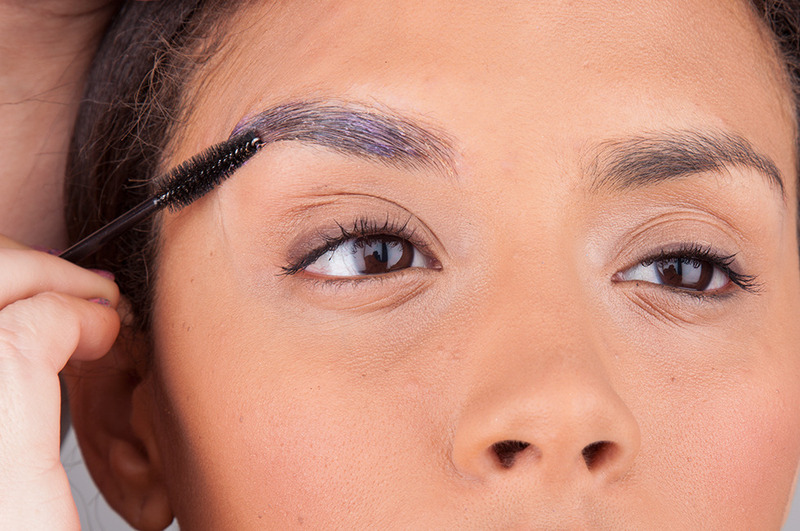 Makeup artist Lizzie Arneson led a team of creatives that included Gina Frey and Ashley Victoria to cover a slew of models (many with very full brows) with the grade school glue sticks before adorning them with appliques. 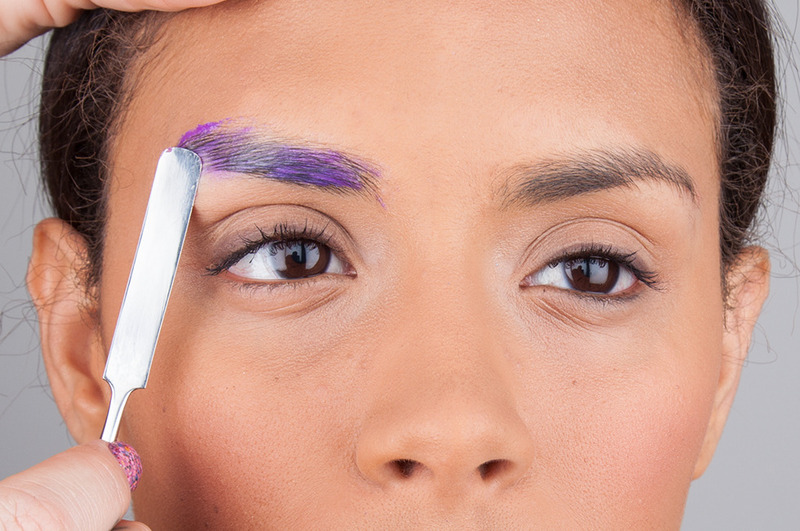 Gina Frey gave us a briefing on the glue brow and even offers up some personal words of wisdom, “I like to use the purple glue sticks,” she told us, “They dry clear so you can tell when the glue is set in the eyebrow.” Here’s an easy step by step that Gina walked us through. 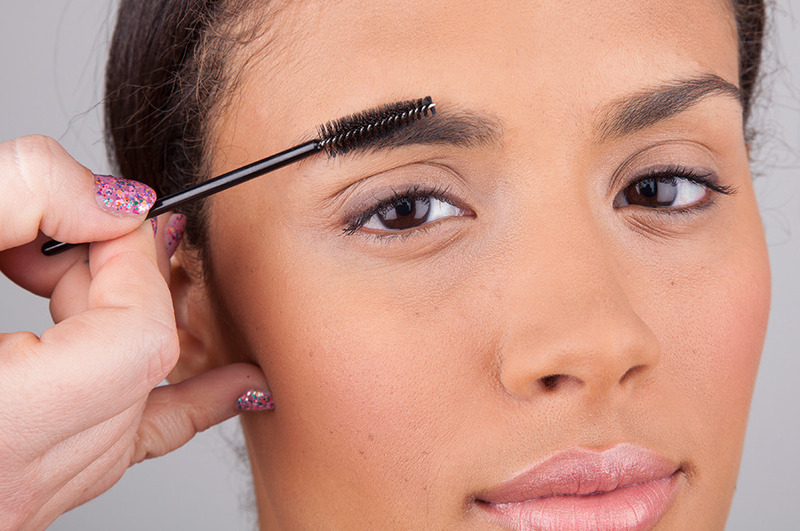 Comb brows in a downward direction using a brush or clean mascara wand. Apply a layer of Elmer’s Glue Stick (yes, that non-toxic craft glue) using a metal spatula, and smooth over. 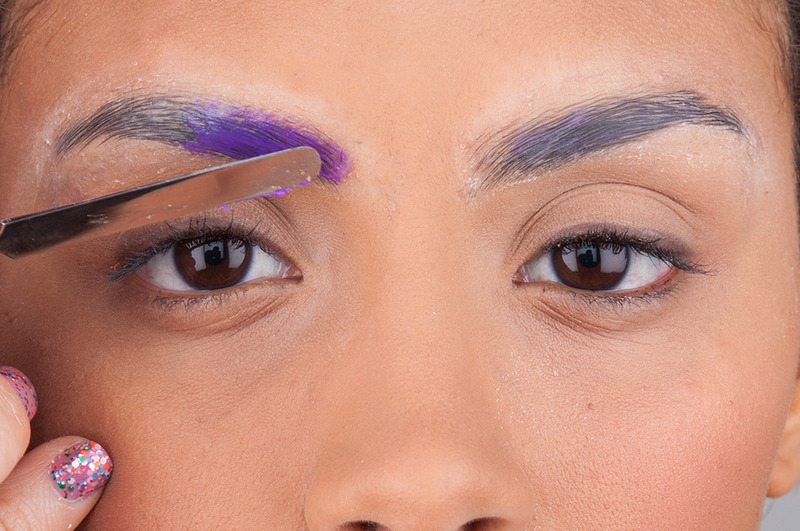 Before glue is set, comb brows back up into the proper position and smooth over with another layer of glue to create a flat surface. 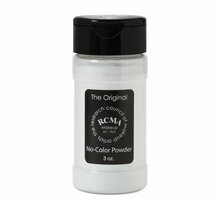 Once glue is dry, dust with powder and coat with a final layer of glue to keep fly-aways at bay. 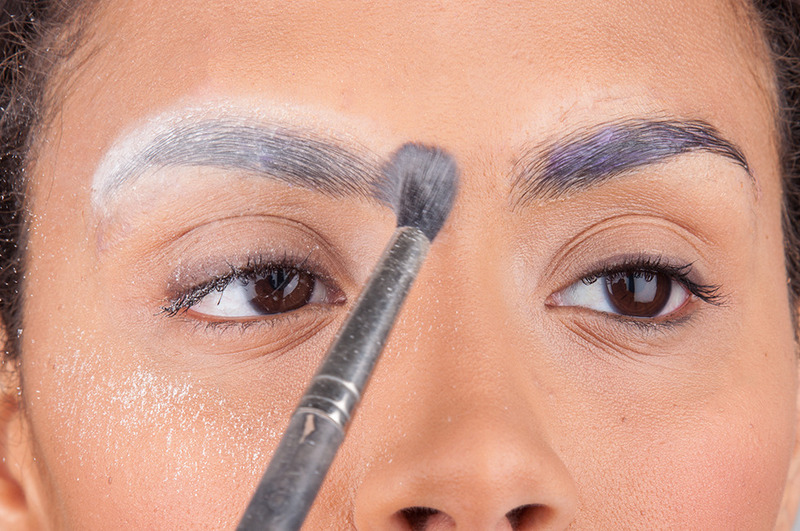 With a sturdy brush, dab concealer over the brows and blend out. 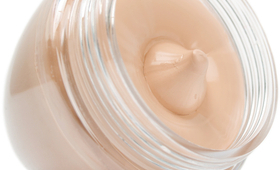 Finish with foundation over the entire face and powder. 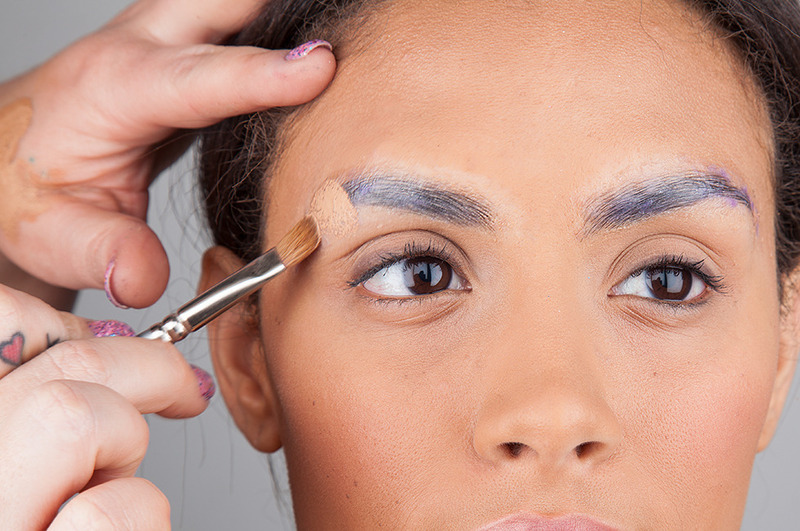 You are now ready for your new eyebrows!